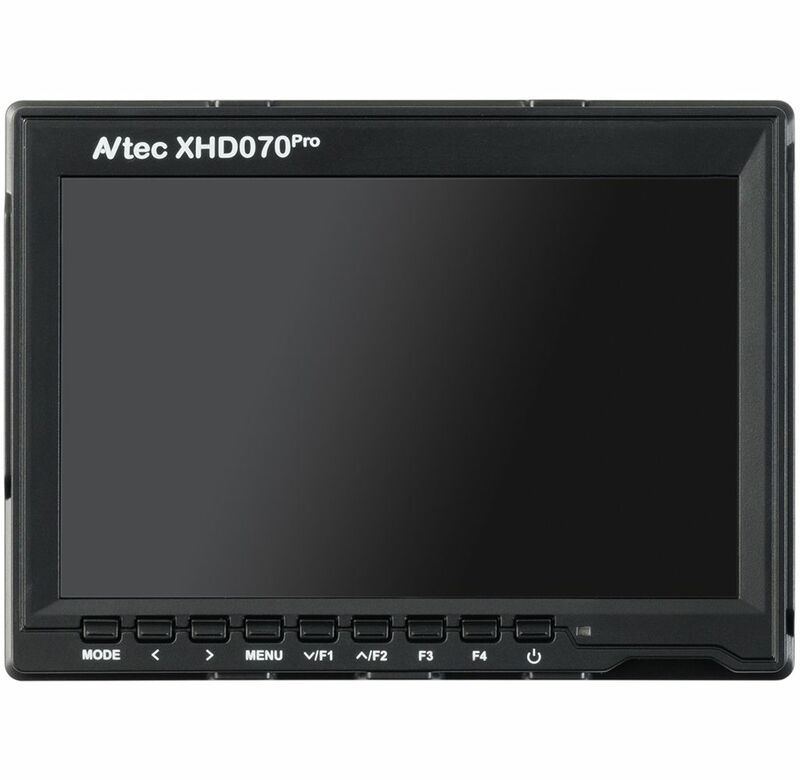 The XHD070Pro 7" HD DoP Monitor from AVtec helps you focus clearly on your shots and eliminate guesswork from framing. It blows up your tiny built-in camera screen to a much larger display, which enables easier viewing and reduces eye strain. 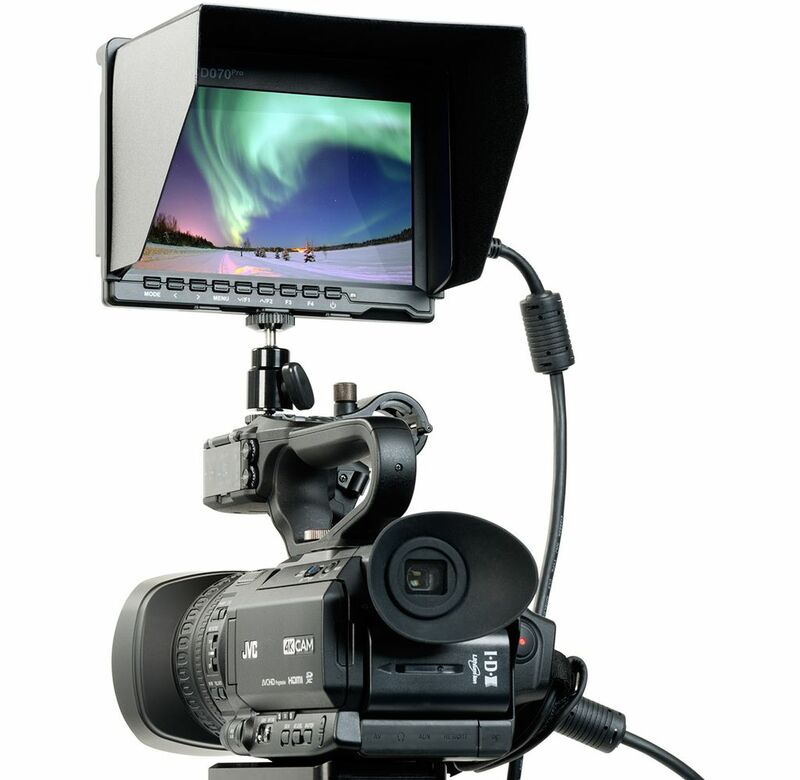 With brightness levels of 400 cd/m2, an 800:1 contrast ratio, and 178° vertical and horizontal viewing angles this monitor is a useful tool when shooting video or stills, providing you with a larger image than your camera's built-in viewfinder or LCD screen. 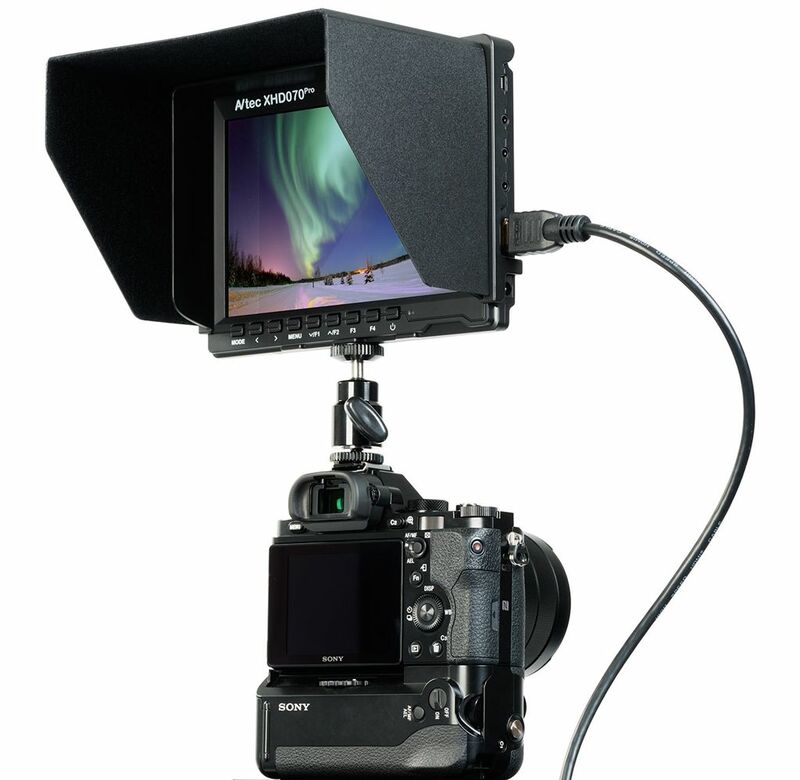 Connect it directly to any DSLR or HD/4K video through HDMI and monitor your shots in 1280 x 800 resolution on the 7" IPS LCD screen. It supports both NTSC and PAL compatible signals. 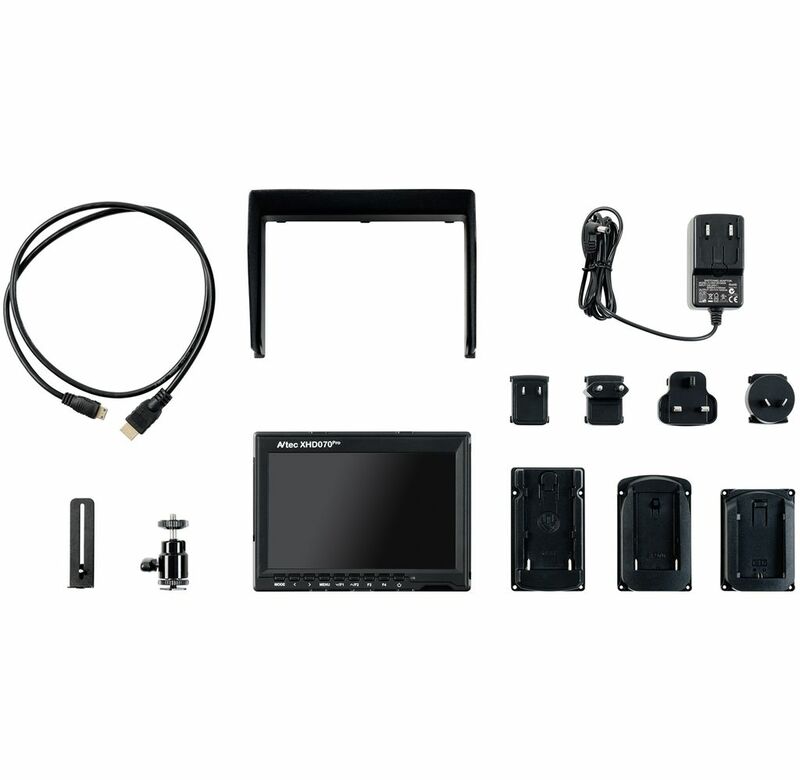 The monitor also features an on-screen multilingual menu where you can adjust brightness, contrast, hue, saturation, to fine-tune your display. The default aspect ratio is 16:9 but you can easily switch to 4:3, Panorama or Automatic in the menu. 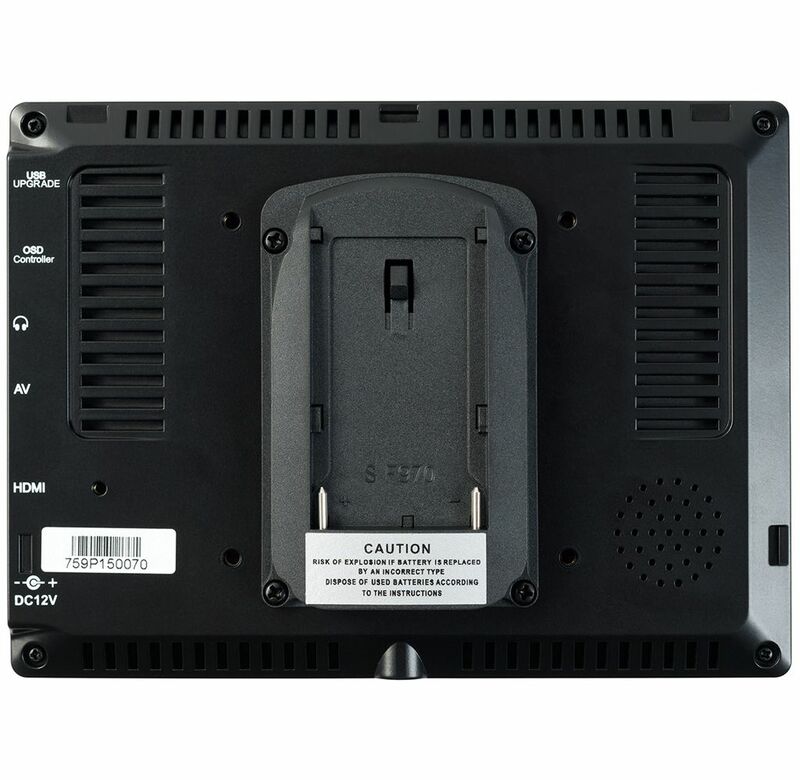 For audio monitoring, the XHD070Pro features a built-in speaker on the rear and a headphone output on the front panel.